Utopian and dystopian Futures Past and Present. – Cool San Diego Sights! Utopian and dystopian Futures Past and Present. Right half of MMCXVIII/MDCCC, 2018, Emma Laraby. Digital painting. 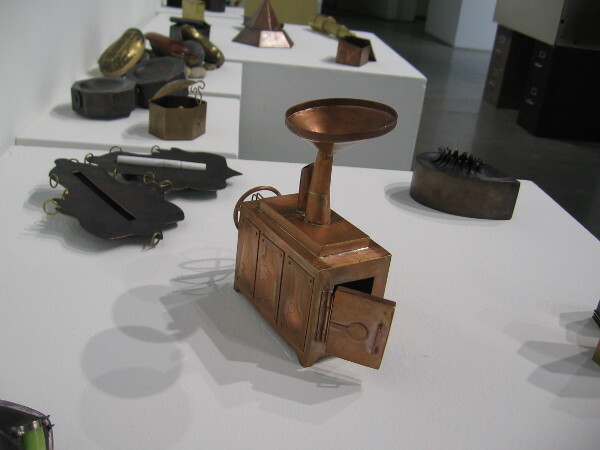 A fascinating exhibition opened yesterday at the SDSU Downtown Gallery. 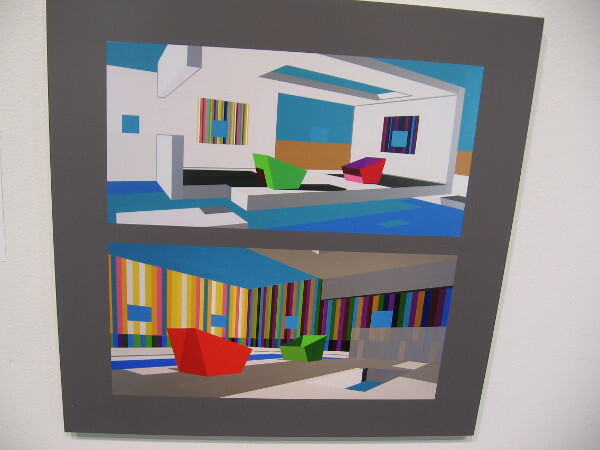 It’s titled Futures Past and Present. San Diego State University students and faculty from the School of Art + Design have creatively addressed human society and the passage of time. Unique works of art reflect how the future has been forecast in the past, and how our present informs what is yet to come. 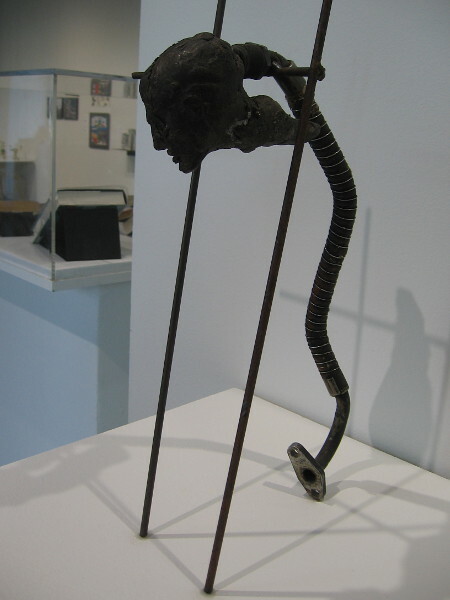 Visions that are presented range from the utopian to the dystopian, and many aspects of human experience and its possibilities are mixed into the artwork. 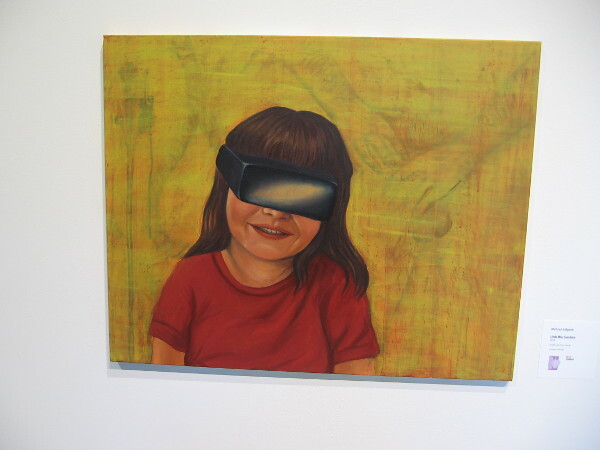 Technology, the environment, urban growth, cultural transformation, and philosophical points of view are some of the themes contained in four sections: Alternate Realities, Building the Future, Inventing the Future, and Personal Prophecies. Curious minds will enjoy this exhibition. 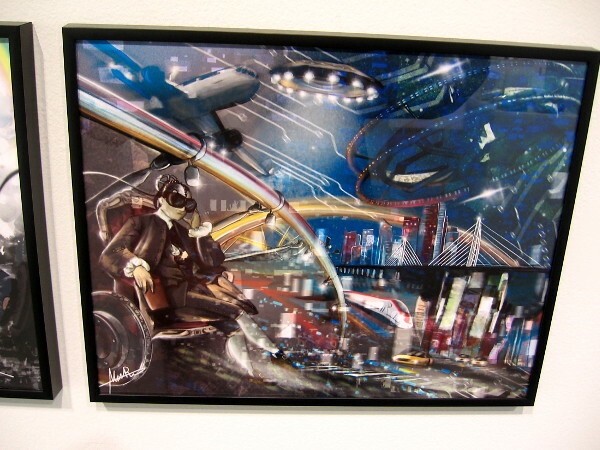 Those who love science fiction, art or futurism should definitely head downtown to check it out! 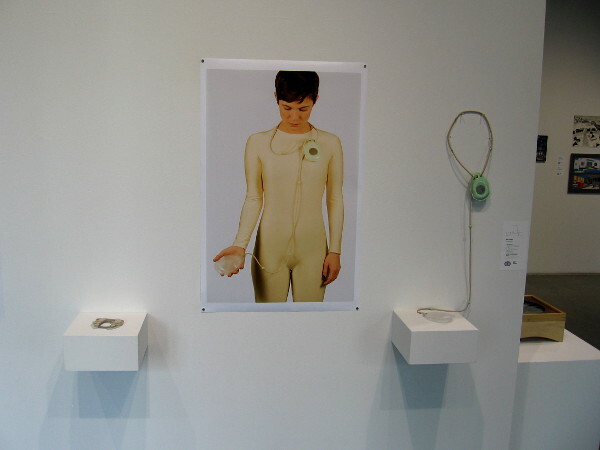 Futures Past and Present is a very cool exhibition now showing at the SDSU Downtown Gallery in San Diego. 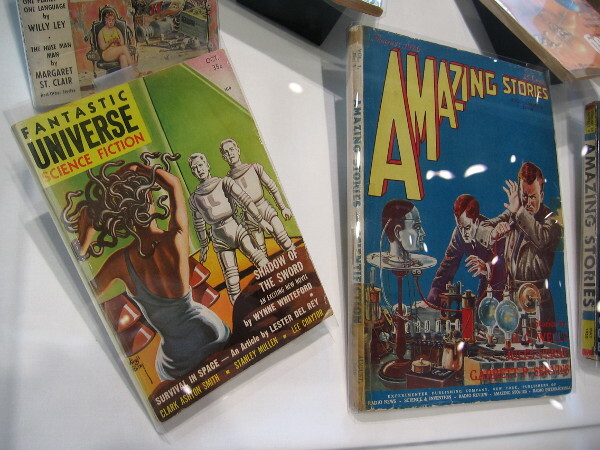 Pulp magazines in a display case recall early visions from science fiction. As human life and technology evolve, the genre also evolves. CareLink: transmitting internal data, 2017, Kelly Temple. Archival digital print and other materials. 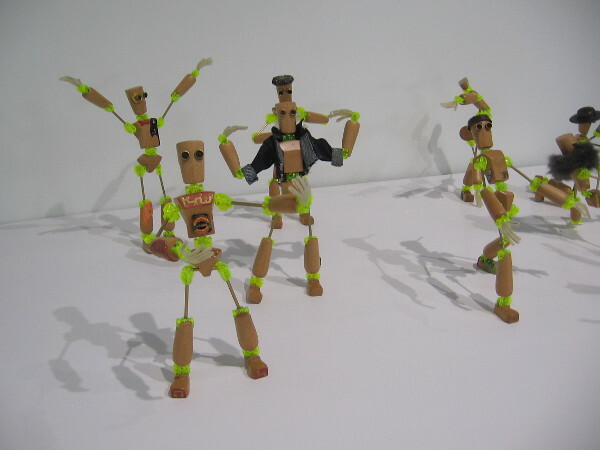 K-bots (10 robots), 2019, Andrew Blackwell. Beech, brass, plastic. BLDNG #6 two views 2008 (In and Out), 2018, David Fobes. 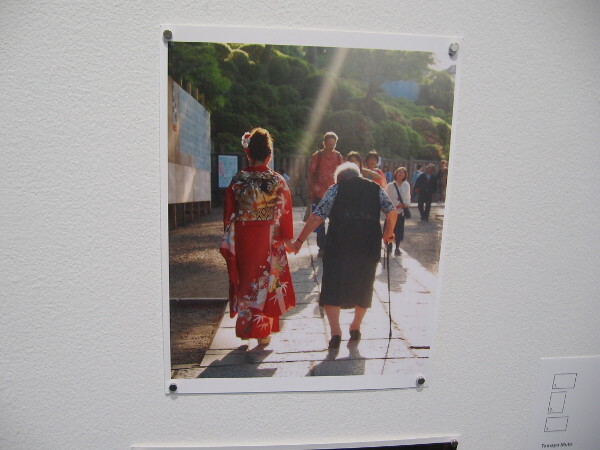 Archival inkjet print. Time Capsules Project. 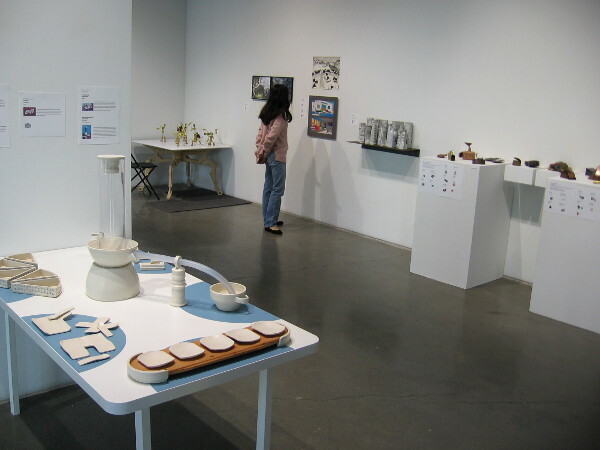 SDSU art students created small time capsules and messages that speak to the future. 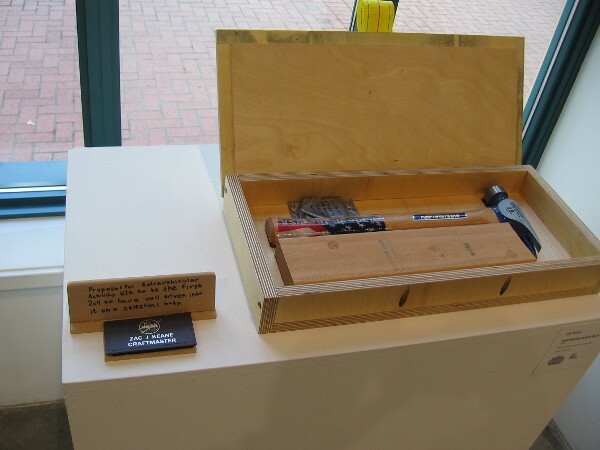 Occupying one corner of the gallery are tools of the past and present. 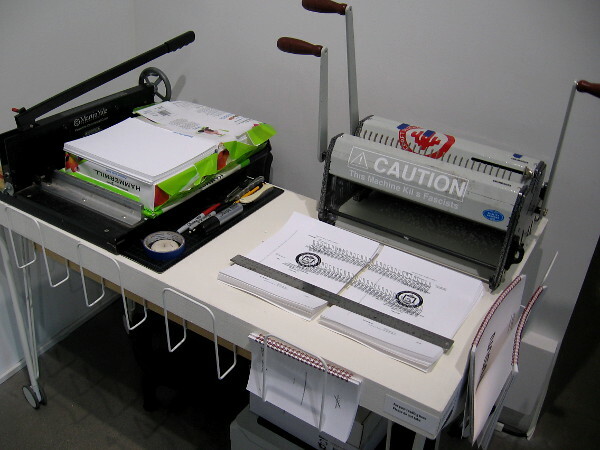 HARD_COPY – Unforgetting Futures Past – a temporary reading room and bindery. Bubble, 2018, Brandie Maddalena. Copper, felt, paracord, steel, human interaction. Washington Marbles, 2018, Tyler Young. 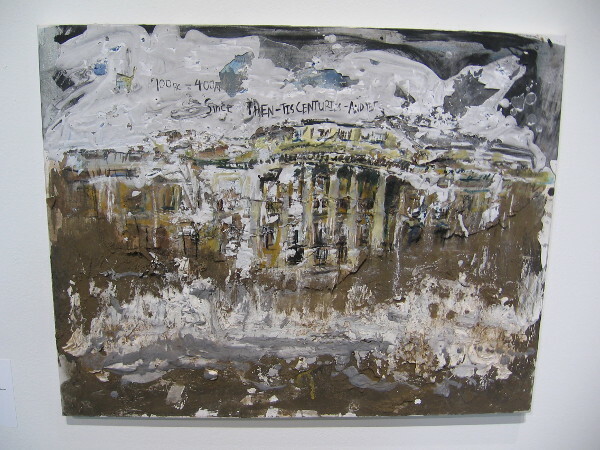 Oil paint, acrylic paint, cardboard, dirt and plaster on canvas. The Same, 2018, Tamayo Muto. Archival digital print. The Drain, 2016, Vincent Cordelle. Cast bronze, steel, insulated pipe. 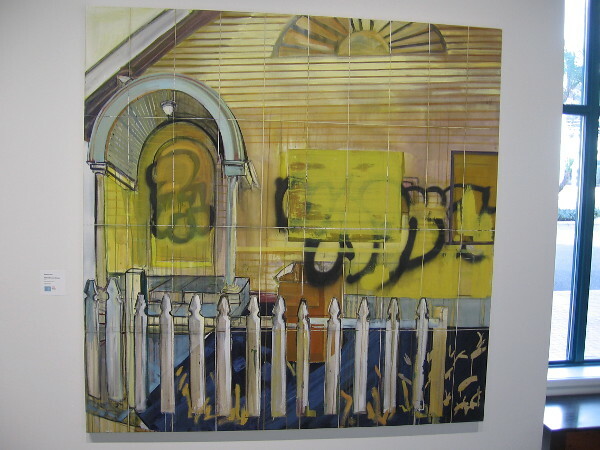 Untitled (Potential 40 Units), 2018, Eleanor Greer. Oil and charcoal on canvas. Extravehicular Activity Kit #5, 2018, Zac Keane. Birch ply, hickory, steel, duct tape, nylon. Little Miss Sunshine, 2018, Melissa Salgado. Acrylic and oil on canvas. 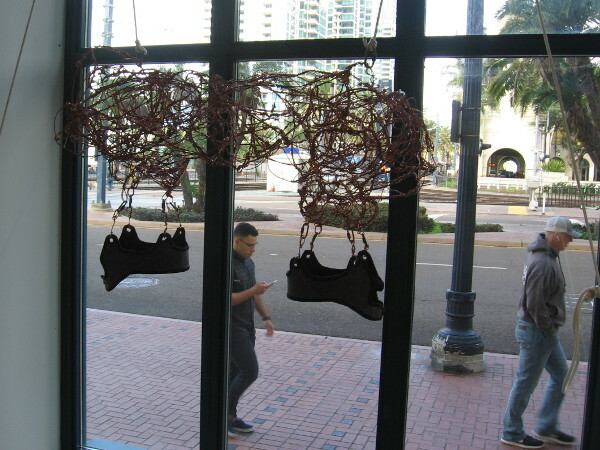 Previous Previous post: Printing words about immigration at MCASD. Next Next post: Festivals, fun and blossoms in Balboa Park!